According to a 2010 story written by Chris Kromm of the Institute for Southern Studies, one of Tillis’ new buddies has some pretty amazing views. The man in question is named David DeGerolamo. According to this story on WRAL.com, DeGerolamo was one of six or seven extreme conservatives who met with the Speaker yesterday. The story describes him as “David DeGerolamo of NC Freedom/NC Renegade.” You can check out NC Renegade’s post on the meeting (including a photo of the speaker with a couple of the attendees) by clicking here. According to the Institute story, DeGerolamo appeared on a radio show with the head of a Nashville, Tennessee -based national Tea Party group on November 17, 2010 and called for the repeal of the 14th Amendment to the United States Constitution. “Also on the program was David DeGerolamo, a North Carolina tea party leader and founder of NC Freedom, a state-wide tea party umbrella group. DeGerolamo went even further on the program, calling for complete repeal of the Fourteenth Amendment — a broad-ranging amendment which outlines basic rights of citizenship, due process and equal protection. The story went on to note that DeGerolamo’ website had previously promoted the idea favored by secessionists that North Carolina is a separate republic that is not bound by Reconstruction era amendments to the U.S. Constitution. Got that? The Speaker of the North Carolina House had time on one of the busiest days of the 2012 legislative session to meet with a man who wants to repeal the 14th Amendment and who apparently questions the legitimacy of the United State government. Stay tuned for more troubling updates. Ah, the lunacy of Thom terrific never ceases to amaze. The 14th amendment was ratified illegally – get your history straight. You can attack me for wanting to follow the rule of law but your assertions about my reasons are false. I am not a secessionist: read Article 4, section 4 of the Constitution. Thanks for the comment and for confirming your views on the 14th Amendment. Glad to know you are not a secessionist. How much money does Chris Kromm make a year from this nonprofit? Rob, good post. Did they wear funny cones hats at the meeting? Racists usually do behind closed doors or deep in the woods. Funny thing about the 14th Amendment – it was passed illegally by the “Radical Republicans”. Thanks for the racist comment: it means you have no facts to support an argument of your own making so you have to resort to the racist label. No need to respond, I won’t be checking this post or blog in the future. Good luck misinforming your readers to garnish attention. The Radical Republicans were the last good Republicans, in my book. The interesting thing about them – they were radical because they opposed the institution of slavery. 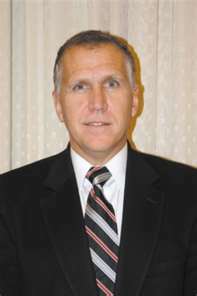 Glad to know that Tillis keeps the company of neo-confederates, but that is hardly surprising to be honest. They keep on defending the indefensible. To this day, they show their hatred and indignation by sporting the flag that was made with slavery as its cornerstone, according to the vice-president of the Confederacy himself. Wow! So blacks shouldn’t be allowed to be citizens? I’ll bet you go to church every Sunday too, don’t you? No doubt where I stand….Intolerant, because some things are just to stupid to put up with. I’m a flag waving, anthem singing, allegiance pleading, gun totin, socialist hating, moonbat slapping, right wing extremist that the gummet warned you about. Funny to see that troll Frances Jenkins on this site… usually she just amens stuff on civitas.. probably works for them as most of the comments on their site are simply staffers posting to agree on their own propaganda… nice work Frances you are branching out but watch it -you just might learn something that is true and FYI civitas the popeaganda machine is a non profit too… and then you get a cushy job with the GOP legislators after you spin misinfo. long enough… nice work if you are dishonest enought to take it.